Sorry for the delay yesterday, friends. Some personal interruptions kept me from posting. 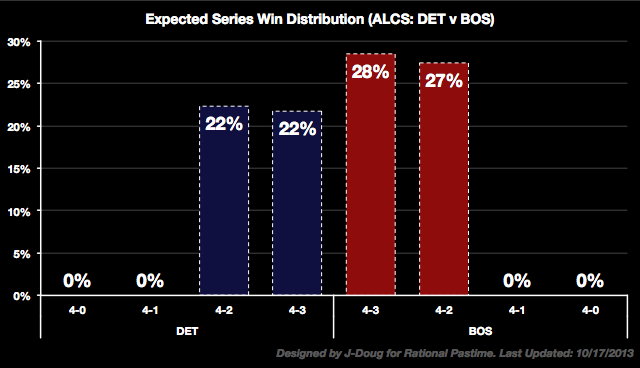 Here are the updated postseason odds for October 17 with limited annotation. The frontrunners suffered defeats in the games of October 16, losing a bit of ground in the World Series and League Championship standings as well. 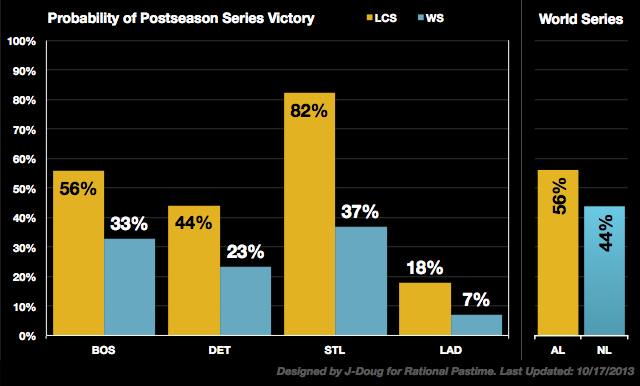 St. Louis is once again the front-runner, with Boston dipping slightly into second place. 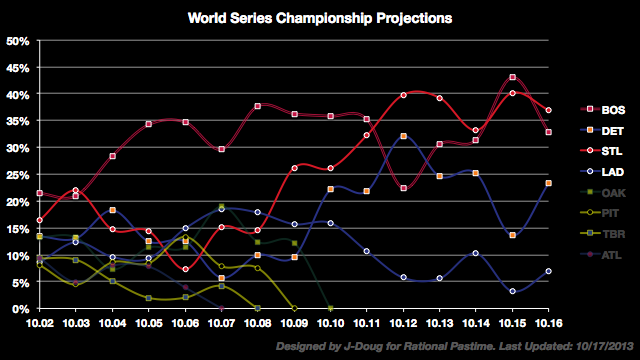 Series breakdowns, World Series projected outcomes and ratings are available below. 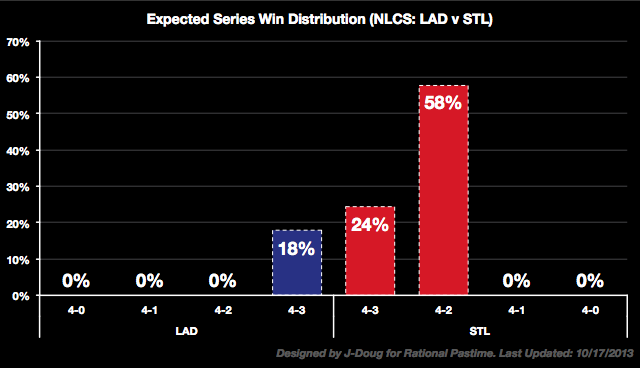 After today it's elimination games from here on out. Stay tuned!